The 2018/19 season is fast-approaching and Cardiff are back with the big boys, but what do fans of the other Premier League clubs think of the Bluebirds and how do they think their own team will fare? In part two, we speak to fans of the mid-table pack about their hopes, predictions and views. What does your side need this summer? A back-up centre half and a striker who offers something a little different from Wood and Barnes. We don’t need anything particularly fancy, or anything dissimilar to what we already have, but a bigger squad would help with the early start and European games. How do you think you’ll fare next season? I don’t expect us to finish 7th again, that’s for sure. Realistically, most teams outside of the top 6 are in a relegation battle so if we finish 17th we have to be happy. I expect that SD will prioritise the league over all other cups and that we’ll go again like we did last year. We should (and can) aim for top 10. What do you make of Cardiff? I didn’t see a lot of the championship last year so don’t claim to be an expert on them. I’m not a massive fan of Warnock but you have to credit him with his ability to adapt to the changing demands of the game and keep evolving his sides. The stadium is very intimidating so you could do really well at home. Where do you think Cardiff will finish? This is tough. Once of a day the promoted sides struggled and were nailed on for relegation, however recent seasons have smashed that trend. Score goals and you’ll survive. Don’t, and you’re doomed. How do you think you’ll fare? Roy Hodgson did a great job for us last season, no-one gave us a hope so we have to learn from the experience. It remains to be seen what quality will be added to this squad and whether we lose anyone but as things stands, we have a very competitive group of players who should look to push on next season. Amazing to think we almost finished in the top ten after that disastrous start so the aim has to be a top ten finish and a deep run in a cup. We should be careful what we wish for though in what will be our sixth successive season in the Premier League. Contrary to popular belief, I have a lot of time for Neil Warnock. Served us well in both stints at Selhurst Park but there are a lot of fans that dislike him. You have to admire the fantastic job he has done at Cardiff, a side languishing when he took over but to secure promotion back to the Premier League is something special. He has his critics but he has rejuvenated the club, one that could have dropped again after relegation and all the bad publicity over the owner. How bizarre that one Welsh club drops out of the division and one returns, no doubt a fact that has not passed you guys by! Last season saw all three newly promoted sides survive but that does not happen very often and it will be tough but surviving the first season will be key. Warnock has the experience but does he have the full backing from the board to spend what he needs to keep the team up? Brace yourselves for a long hard season but there is no reason to think that next season will be much different outside the top six than the one that has just gone. If so, Cardiff have a chance just like anyone else. I think the changes that have occurred at Everton over the past few months have been a big, positive step and shown huge ambition for the future. Sweeping change across the board and of course the Manager and backroom staff, we saw Denise Barrett- Baxendale promoted to CEO, Marcel Brands has joined from PSV to become the clubs Director of Football, and Marco Silva being appointed as the new Manager, as Evertonians, we’re already feeling significantly happier than we were a few weeks ago. Marcel Brands last week disclosed that Everton would be looking to be moving on about a dozen players this summer, including the likely departure of Wayne Rooney. There are still huge worries for me over our defence. Leighton Baines is still capable of doing a job, as is Phil Jagielka but age is starting to tell. Ashley Williams will likely be moved on I’m still very uncertain on Michael Keane. So CB and LB are key positions that need strengthening, also a number 10, and another striker would be priorities for me. Another thing that is crucial for Everton, is working hard with soke of the extraordinary young talent that the squad possesses. The likes of Ademola Lookman, Nikola Vlasic, Kieran Dowell, Tom Davies, Mason Holgate, Dominic Calvert-Lewin, Beni Baningime etc. Brands has identified that as a priority, which is great to see, as the young guys are in some serious need of better man managing because we were in danger of damaging the development of these players with the whole charade of last season. Things feel a lot better around the club, and it feels really exciting and promising..but this is a ‘project’ that is going to take significant time to come together. With so much change and more still to come, also how Everton have regressed over the past few seasons, it’s going to need to settle down. For me the aim has to be an attempt at closing in on that ‘top 6’ but will be largely dependent on transfer business in this window. Cardiff City had a very good season last season, finishing only behind a fantastic Wolves side. But with a 90 point haul and a second place finish, that’s quite the season for The Bluebirds. Bluebirds, that actually brings me to my next point. As an Evertonian, I know how horrible it feels when people come in and mess with your club and how infuriating it is as a supporter, I can’t believe that last time Everton played Cardiff, that you were wearing Red! 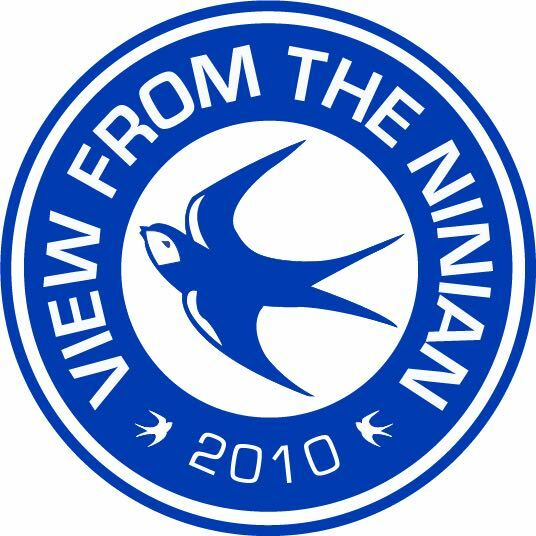 I still find that whole thing bizarre, the crest change too due to Vincent Tan. I am pleased for the club and for the fans to see that you are back in the Premier League in Blue this time! With an extremely colourful manager in Neil Warnock, I’m sure he’ll bring some character back into the PL too. I think Cardiff have a pretty strong team and squad of players, and with Neil Warnock in charge he has had some experience of the Premier League and is certainly experienced as a football manager. The way the Premier League was last season, there were so many poor teams you could almost say that any of the bottom half of the table, or even Everton at a time could have been relegated. The fact that Everton managed somehow to finish 8th in that league says it all because it was the worst EFC side I’ve seen for about as long as I can remember. Cardiff will be confident, having such a huge points tally and promotion brings that winning mentality and togetherness. I think if other clubs don’t step up their game then Cardiff should be just fine. I’m going to say 14th. Claude Puel has kept his job by the skin of his teeth, based largely on impressive performances in the final two games of last season. So we’re continuing with Puel’s project to transform our style of play from reactive to proactive. We need to dismiss sentiment and sign and play the type of players who can successfully implement Puel’s more possession-based football. Our first summer signing Ricardo Pereira, an exciting attacking right-back from Porto, should help enormously. We’re still searching for the right mix in attack. Jamie Vardy is the main man and Puel favours three attacking midfielders to play behind him. Our recruitment of the right ones this summer will make or break our season. We’ll lose Riyad Mahrez, our greatest ever player in my opinion, and have been linked with a few promising young English talents: James Maddison, Jack Grealish, Patrick Roberts. Whoever we end up with, they’ll have to adapt not only to the Premier League but to a fanbase that has recently become accustomed to success in a division where you can’t let your standards drop for a second. It’s hard to give an overall prediction – there were times last season when we looked like a Championship team but also periods when we played better football than during the title win. Puel had lost a lot of our fans by the end of the season and will be under pressure from day one. Our main problem was a terrible record at home to the worst teams in the league. It wasn’t so much that they defended too deep – we just didn’t look like we knew what we were doing and couldn’t be bothered to try to find out. That has to change. I’ll say 12th. That might be a touch pessimistic but the loss of Mahrez will be a huge blow and I think it’ll be a stronger league than last season. Obviously a lot of the hype is about the other two promoted teams. Cardiff have managed to go up automatically without a huge amount of coverage in the national… err… English press – certainly less than Wolves, Fulham and even Aston Villa got. Fulham looked mightily impressive when I saw them but the league is played over 46 games and the fact is that Cardiff were the better team. It was clearly a fantastic achievement given the budget and the less stellar names at Warnock’s disposal. Your fans will be hugely important. I don’t know if you have any plans to rebuild Ninian Park and get the Bob Bank shrieking at the Grange End to climb over the fence into the away section again, but that’d be a fine addition to the bland, corporate Premier League we’ve got these days. It’s very early to say. My cousin is a huge Cardiff fan and all my family are from the area so I’ll be hoping you have a successful season. There’s no single proven method of staying in the Premier League. But Brighton, Huddersfield and Newcastle should all give you confidence. There were plenty of unheralded names (and some downright average players) in those squads last season but their managers got the best out of them in enough games to keep them up. Having said that, the teams that were relegated last season had it coming to a certain extent. Now they’re gone, there aren’t too many in crisis. Even West Ham seem to be approaching things more sensibly. Whenever Leicester get promoted to the top flight, I spend the summer trying to find three teams we’ll definitely finish above. If you were playing that game with Cardiff, maybe you’d pick Bournemouth? Huddersfield? Watford? The twin demands of the Premier League and European football might take their toll on the new northern powerhouses Burnley. Maybe Puel will fail in his grand plan and we’ll be relegated under Alan Pardew. Maybe an Aron Gunnarsson goal on the final day will send Roy Hodgson’s Palace down. It’s a long, long season. But hey, this is a Cardiff fan site. You’ll have enough people predicting you’ll finish bottom. I’ll give you 16th. We need an investment from the owner, which is very unlikely. We’re a side that did very well last season to finish in the top 10 but that won’t happen again without some strengthening done. A striker who can bring us a load of goals, a couple fullbacks to strengthen the squad and a creative midfielder to bulk it up a bit. Aside from that, get Mike Ashley out and make sure Rafa remains. Next season will be a tough one, especially with a very hard start to the Premier League. If we don’t get any investment, which is unlikely, we are going to struggle a bit but with Rafa at the helm; anything can happen. All I know is that the whole city is backing Rafa and the team week in, week out as usual. They have our support and there seems to be a strong belief and unity within the squad that we haven’t seen in a while under previous managers. Cardiff had a solid run out last season in the Championship but to me, they’re a little out of the unknown. I just know that we cannot go into any game sceptical of the opponent and have to respect them but believe we can beat them. Cardiff to Man City. It doesn’t matter, they can all beat us. To me, Cardiff is going to be near the bottom. The Premier League is strong and getting stronger and with them being a newly promoted team, they’re going to be fighting it out in the bottom. But look at what we did as a newly promoted team but then again, we have Rafa. A complete rethink of our ethos and what our end goal is. Two poor managerial appointments in a row left us hurtling away from the 5 years of progression we’d had previously, the recruitment went from spot on to dreadful in an instant. This Summer we need to back Mark Hughes with a couple of decent additions. We already have a mid-table side, but an experienced centre half and someone with a bit of attacking spark would be just what the doctor ordered. I think we’ll slot back into mid-table mediocrity which in reality is where we belong. Last seasons relegation battle disaster was a blip caused by a ridiculously bad managerial appointment. Mark Hughe came in steadied the ship and got us looking up for games again. Well, previous to last season I’d have said you were the Portsmouth (crazy off the field goings on, horrible shade of blue, naughty fans) to Swansea’s Saints (well run, likeable club) but after their antics with hotels and coaches for our game their last season I can honestly say Cardiff City are the pride of Wales! I look forward to avoiding the Swansea Marriott and staying at Cardiff’s ‘Premier’ Inn. Seriously though, I think you surprised a lot of people last season and it’s good to see. It’s a tough one, but you should take encouragement from the promoted teams last year. It’s difficult to survive but not impossible. I know it’s scandal to suggest, but I would replace Warnock. He is obvious good in the lower leagues but I think he’s too outdated for the Premier League. I think you’ll be in the relegation I’m up for sure, but on the basis of last season you could be one of many. With Mario’s loan spell coming to an end and now Lanzini’s long term injury, I would like to see us investing in an attacking midfielder. I don’t have faith that David Sullivan will invest a great deal in the transfer window. But I would like us to sign Mario permanently or on a season long loan. It obviously depends on any further injuries but I think we should be aiming for a respectable mid table finish. With Lanzini, I fancied us to get in the top 10. But that may be harder now. I’m looking forward to Pellegrini getting the team playing more attacking football. I lived in Cardiff for four years, so I have a soft spot for Cardiff City. Its been great to see the turnaround at the club under Neil Warnock. Cardiff is a great city with passionate fans and I believe they will be hard to beat next season, especially at home. I think the most important thing Cardiff must do next season is avoid relegation. With Cardiff’s style of play under Warnock, I believe they will have a relegation scrap but will ultimately survive the drop zone. Part three, our preview of our relegation rivals, is coming on Friday.